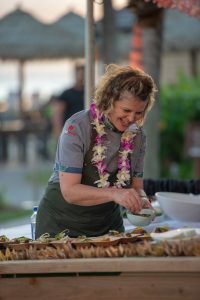 When she got here for the Hawai‘i Food & Wine Festival, chef Michelle Bernstein was stunned by our local produce, particularly, yes, the green onions. She said she’d never seen scallions that big and beautiful, so they HAD to find a way into her culinary creation for the Spiked! 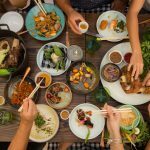 dining event on Oct. 20! 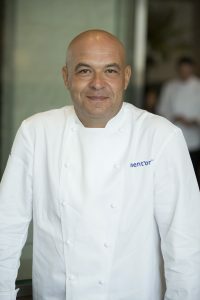 A Miami native of Jewish and Latin descent, Bernstein is a James Beard Foundation Award winner (Best Chef South 2008) and author of Cuisine à Latina. 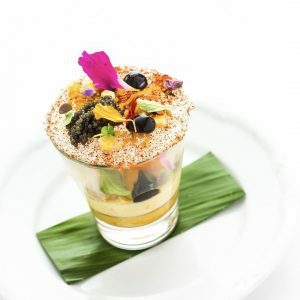 She and her husband (and business partner) David Martinez own and operate MBC Michelle Bernstein Catering Company as well as her popular café concept Crumb on Parchment in Miami. Here in Hawai’i, we know and love Calamansi, or Philippine Lime. But Bernstein, who grew up more than 4,700 miles away, has the same affection for Calamansi, which was part of her childhood. Chef Michelle Bernstein at Spiked! for HFWF. Courtesy photo. Bernstein can’t contain her excitement among the chefs for the Spiked! 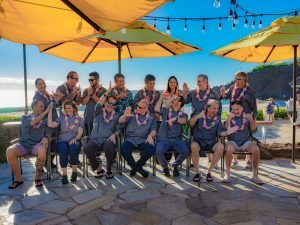 dining event at Sheraton Maui Resort & Spa on Oct. 20, 2018. Courtesy image. Spiked! chefs throw shaka and high-fives for HFWF. Courtesy photo. Chef Michelle Bernstein prepares her dish for HFWF’s Spiked! 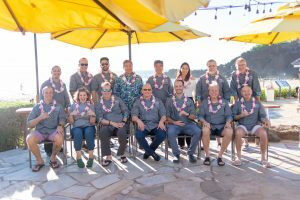 dining event at Sheraton Maui. Courtesy photo. 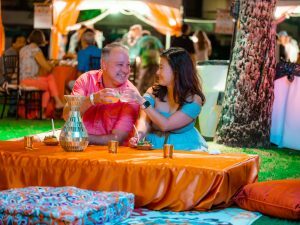 Guests enjoy the low tables and bohemian decor at Spiked! for HFWF. Courtesy photo. These days, Bernstein is busier than ever. She regularly appears on such national TV shows as Top Chef and Good Morning America. She also hosts the PBS weekly television series Check, Please! 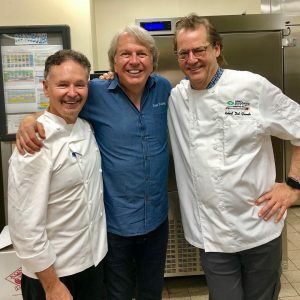 South Florida and a regional food show. In addition, she dedicates time to an after-school program for underprivileged kids, and has worked with a cancer institute to provide provide oncology patients with food alternatives to help ease their way through treatment. Bernstein was the only female out of 13 chefs at the Spiked! 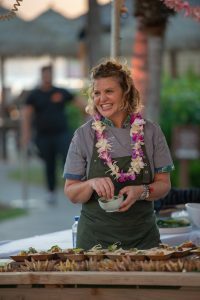 event, and says she’s noticed a drop in the number of female leaders in the culinary industry overall, though she was encouraged to see a lot of them as students assisting at this year’s festival. Speaking of family, she got to bring them with her this year to Maui, one of her top places to visit, and maybe, someday, live. 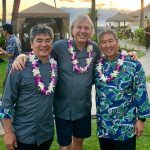 Learn more about the Hawai‘i Food & Wine Festival, which features a roster of more than 100 internationally renowned master chefs, culinary personalities, winemakers and spirit producers, here.